NOTE TO READERS (7 Mar 2019): I am collaborating on a new book project with Dr. David Stahel; the book will be a fully annotated anthology of letters of German soldiers from the first six months of the eastern campaign (Jun-Dec 41). The book is coming together with startling speed; we have collected field post letters and diary entries from about 250 German soldiers, most never before published (certainly not in English). We envisage publication of this new book by early 2020. Due to the demands of the new project I don't have much time to add new material to my blog. That said, I urge all interested parties to continue to enjoy the hundreds of photographs, dozens of videos, and "Barbarossa Document Archive," which will be of great value to those researching the eastern front 1941/42; as will many of my posted blogs. This web site is the result of my decades of research into Adolf Hitler's surprise attack on Soviet Russia on Sunday, 22 June 1941. You can read my posts about Operation "Barbarossa" (the code name for Germany's attack on the USSR), about other WWII issues, and on occasion about contemporary political and cultural issues. 7 Mar 2019: Today my publisher received the manuscript for my new annotated edition of Dr Heinrich Haape's iconic eastern front memoir, "Moscow Tram Stop. 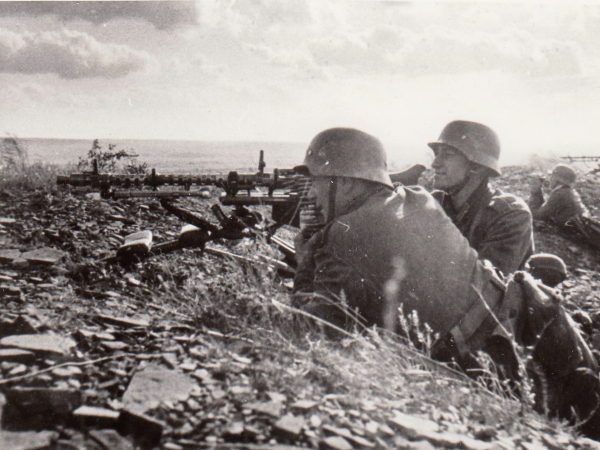 A Doctor's Experiences w/ the German Spearhead in Russia 1941/42." Our intent is to release the book this fall. This will be the first publication of the book in English since 1959! Excerpts from the book are among my blogs. Official release date for "First Day" was 1 Nov. it is being now offered for on Amazon at greatly discounted prices). The book is hardback, large format, 504 pages, 60 b/w photographs and 18 maps. "First Day" examines the first 21 hours of Hitler's attack on the USSR (the Germans struck at about 0300 hours) in granular, often minute-by-minute detail, using both German and Russian official source materials. About the book internationally recognized historian Dr David Stahel writes: "Certainly the most complete and, without question, the most thoroughly researched treatment of the first 21 hours of Operation Barbarossa. Luther has captured the drama, shock and devastation of those fateful hours like no one else." Click on the book cover to read a graphic excerpt below. NOTE: see my new " Barbarossa Document Archive ," which is made up of thousands of pages of my eastern front research. A great resource for any eastern front scholar! 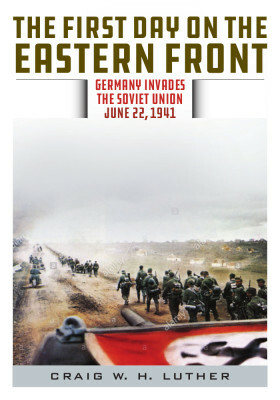 NOTE: Late last year, I posted a large selection of great new videos--eastern front and many other WW2 topics. Please check in the Video Library. Special thanks to Bruce Sadler for enabling me to add these terrific photographs to my website! With the help of my terrific IT specialist, I have now posted a new section with thousands of pages of notes I've prepared over the past two decades on the eastern front. The notes mostly address the opening months of Operation Barbarossa and have been meticulously prepared and sourced; they should be of great use to folks researching the eastern front. The posted files include an exhaustive bibliography I prepared back in 2012 while writing my recent book "Barbarossa Unleashed." We all stand on each other's shoulders--so many kind folks have supported my efforts over the years that I'm delighted to help others by posting my research. 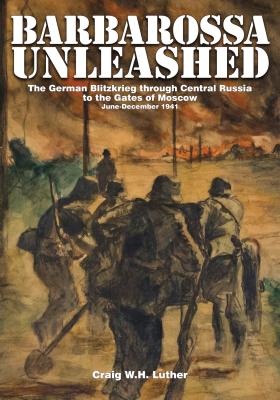 Below you will also find excerpts from several of my books, WWII videos , and truly amazing photographs of Operation Barbarossa , including dozens never before published. 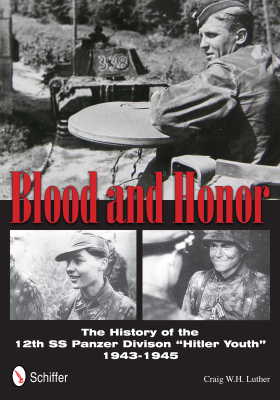 All of my books are hardback, large format (7" by 10") and based on official German (and sometimes Soviet) military records and interviews with dozens of German veterans of campaigns on both the eastern and western fronts.